I’ve long believed that if you made something so cool it can’t be ignored, then you’ve got a business opportunity. Not a business, just an opportunity. But put in the work to build a real product, manage production and dial in the marketing, and that business opportunity can explode into a wildly successful brand. 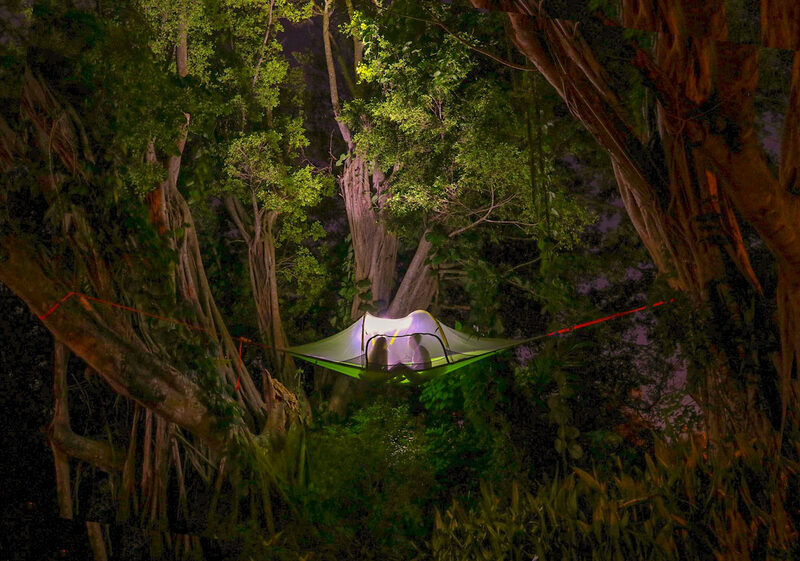 That’s exactly what Tentsile founder Alex Shirley-Smith did with his amazing floating tree tents. Listen in as he tells where the idea came from, how he overcame crazy manufacturing problems, and has grown sales volume more than 10x every year! 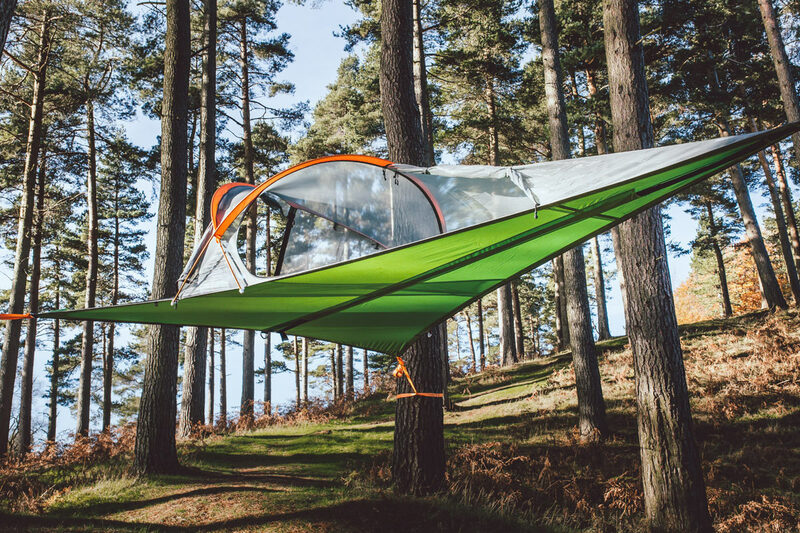 01:45 – What is Tentsile? Where’d the idea come from? 14:36 – Why not produce in the UK, where they’re based? 19:30 – China shuts down their factory! 40:40 – Tools and resources they use. 42:00 – What challenges keep him up at night? Tentsile came about from Alex’s desire to save trees and forests from being torn down for timber at the expense of the land. Eco-tourism is a proven way to save environments from destruction, and creating equipment that provides alternate (and less destructive) means of “monetizing” an area means everyone wins. He used his experience as a professional treehouse architect to design a system that didn’t hurt the trees and could easily be moved and removed as needed. That these floating tents were also amazing looking helped them blow up in the collective consciousness. One of the tricks Alex had to figure out early one was maintaining interest generated from publicity on a major blog more than a year before the first product was ready to be sold. Ongoing communication and social media posts kept people into the story and interested in the product. Once they launched, they grew organically off revenue, using income from the first tent to build the next two, and so forth. Which makes their astronomical year-over-year growth all the more impressive! As a small company, their production nightmares in China illustrate some of the challenges small customers have with major factories. Or opening their own factories. But despite the challenges, and their clever solutions, the cost of production is so much less there because labor is cheaper and faster, and so many of the raw materials are sourced there. There are economies and efficiencies to be had on many levels. While I believe Tentsile’s growth stems largely by offering something incredible and unique and fun, there’s no doubt you need to reach people to spread the word. It’s a little surprising, but also very encouraging, that a massive shot of growth came from simply creating an informational video that explained the product. Alex makes an interesting point in selling at retail versus selling direct online. They offer more of a concierge service that provides post-sale support, but retail stores provide an easy means to get it or return it. His parting advice is to keep things simple. Don’t get bogged down with fancy automations, systems and shopping carts. Just get the production dialed and get it online, then tweak as you go. Focus on the communication with your customers as that will be much more powerful in creating loyalty than having a fancy online store. WORKSHEET: Why do you want to start a business? WORKSHEET: Should your product be different, or better?